In our second article on healing with essential oils, Aquinelle shares the top aromas for enhancing concentration. It takes greater and more effort than ever to stay on task and maintain our attention in the digital-centric and often just plain demanding world we live in. And although conditions like ADHD and other nervous system disorders are very real concerns for millions of people, the majority of us could benefit from some simple self-care – and aromatherapy – to strengthen our concentration. Unlike stimulants, essential oils can calm and re-center the mind and since they don’t cause a crash, they’re more sustainable in the long term care of stress-related conditions like the occasional sleepless night, a life transition or other worrying events. Plus, creating your own blend and the right environment can become part of your ritual for relaxation and focus. Creating a productive space, whether a meditation room, a studio or a quiet outdoor spot helps set the tone for focused awareness, and aromatherapy is portable, which makes it beneficial when you can’t be in a productive environment but need to find your focus. Aquinelle offers convenient 4-bottle gift sets and travel packs, so you can sample several scents at once to find those that are most pleasing to you, wherever you find yourself. Scents affect our neural hardwiring in very specific and consistent ways, meaning some are more likely to create a focused and concentrated state than others. And while aromatherapy isn’t effective for everyone, if you would like to try it, start by building scent associations. As humans we build strong relationships and connections with scents and smells that have developed over thousands of years. Some of these signal safety and made our ancestors relax, while others signaled opportunity and excitement having the opposite effect. We attach thousands of memories and associations to our experiences as well, and some of those include scents we’ve encountered. If you smell a scent you associate with a relaxing, enjoyable or more focused time in your life, it will bring in a sense of overall calmness, and you will feel more connected to life as you remember the time or events associated with the smell. For example, if you grew up baking with your mom and pass a bakery that reminds you of something you used to bake together, even if you haven’t thought about that smell in decades, when you encounter it again you will be transported back in time. A soothing calm will come in, no matter how stressed or upset you were moments before. When we introduce new scents into our lives, we want to build an experience around each smell or mixture and let it be repeated. Keep this in mind when you’re creating a relationship with your focus and concentration boosting essential oils. After using them awhile, just a whiff should be enough to put you into a productive, calmer mindset. to a body oil or unscented lotion or use one of the following application methods to enjoy their soothing benefits. For centering and creating focus, inhale a few drops of oil from a tissue, a portable inhaler or add them to a diffuser (less effective). Another simple way to apply oils is to gently rub a drop or two of your preferred essential oil into the temples and relax. Baths can effectively ease tension allowing you to bring back your focus. Try adding 6 drops to your bath, then shut your eyes and relax. Massage is a beneficial way to relax the body, releasing toxins and draining the lymphatic system. 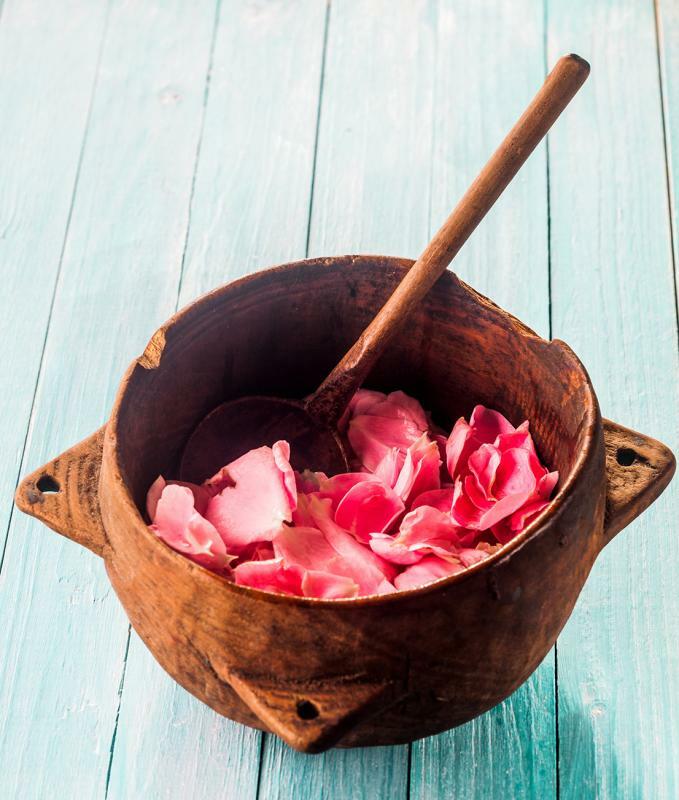 In a small non-reactive bowl mix 2-oz of your favorite massage oil (coconut, argan, sweet almond, jojoba, etc. ), then add 4-6 drops of your blend. Mix well and massage over your body. Mix together in a small (5 ml.) dropper bottle, then use any of the above application methods or apply 3 drops to a wet washcloth and rub over your body while showering, take deep inhalations from a tissue or cloth pocket square or use a diffuser to scent your room.